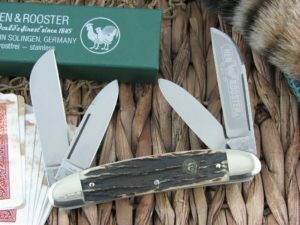 Hen & Rooster knives from Solingen Germany. At one time there were no better pocket knives made than the Bertram Hen & Rooster knives. There are still many German made models to be find, but those days seem to be coming to an end. The owners of the Hen and Rooster brand are a bit elusive about where each model is made at any given time. 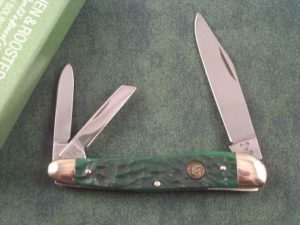 But rest assured, if CollectorKnives is selling it – it is wholly made in Germany. Don’t fall for the “Solingen German Steel” or other tang plays.